Balancing motherhood and mogul-ship is no easy feat! JOY is the dynamic story of a family across four generations, and the woman who would go from dysfunction to dynasty because of it. Joy arrives on Digital HD April 8th and Blu-ray, 4K Ultra HD on May 3rd - just in time for Mother's Day. JOY is the dynamic story of a family across four generations, and the woman who would go from dysfunction to inventor because of it. Betrayal, treachery, the loss of innocence and the scars of love, pave the road in this intense emotional and human comedy about a true matriarch. Watch alllies become adversaries and adversaries become allies as Joy tackles the unforgiving world of commerce to create a business dynasty. 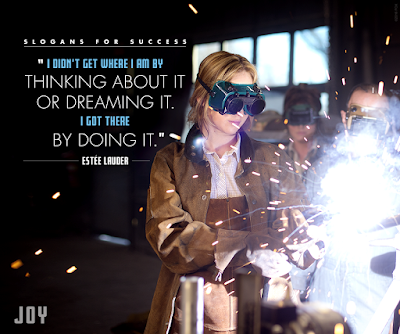 A household name and inspiration for women everywhere, prepare to be inspired when Twentieth Century Fox Home Entertainment's JOY, arrives on Digital HD, Blu-ray, 4K Ultra HD, and DVD. 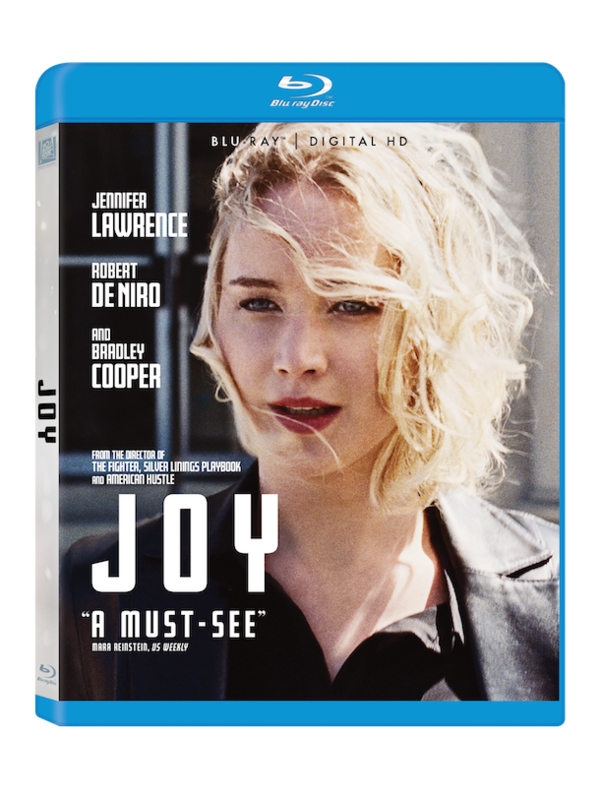 One person will win JOY on Blu-ray. My grandsons bring me great joy! My family...and spending time with them... brings me joy. Spending time with my kids and grandkids always brings me joy. I get joy from seeing the things that my kids accomplish. As they grow older, I get a better sense of appreciation knowing that they are becoming strong adults who will make our world a better place. My biggest joy in life is my children. They make me so proud and when I look at them, I truly know if I have done nothing else in this would good, I did with them. Playing softball with my friends brings me joy, especially after a long winter. My husband brings me a lot of joy. He can always make me laugh, even in the darkest of times. My grandsons bring me joy, because even though I've had a difficult day when they stop by to see me or give me a call in the evening to tell me about their day it makes my own issues seem unimportant. The biggest joy in my life is my wonderful family, friends, and my only grandchild. He truly brings joy to my life. My English bulldog, Tyson, can cheer me up on my worst of days. Dogs are the best. There are two things that really bring me joy, my son and Disney. Couldn't live without either of them. Leave a comment on this blog post with something or someone that brings you joy. My kids always bring me joy. My daughter brings me joy. It brings me joy to cook for everyone, I do it every day! ::YIke:: I made a mistake on the "Enter Another Giveaway" entry. I entered a contest taht is over already on the form. So, I also entered this one: "Digestic Herbal Supplement - Review and Giveaway" Sorry! My Mom brings me joy into my life. Orcas and other cetaceans bring me joy! I love watching them. My family brings me JOY! I am blessed! My family brings me joy! My daughter brings me a lot of joy! Being at the beach brings me joy...all that sunshine, water & sand...and long walks along the shore! My family brings me great joy - I especially love it when we are all together. I also find great joy in going to church, praying and studying God's word. My partner gives me joy as well as all the adventures we have together! Like road tripping! My daughter brings me joy because she is my light every day! My family always brings me joy! I would like to see this with my nephew. JOY looks like a great movie. My grandchildren bring me a lot of joy. My kids bring me great joy! Spending time with my goddaughter brings me joy. My little Chihuahua brings me lots of joy. My family brings me joy, thanks! My kids bring my Joy. They are the most important things in my life. I have twins with special needs that give me Joy daily!! My significant other brings me joy.